Get ready for the second ever People of the Global Majority in the Outdoors, Nature, and Environment (PGM ONE) Summit! Set for May 23, 24, 25 in the heart of Oakland’s Chinatown at the Oakland Asian Cultural Center, we’re excited to partner with hundreds of fantastic community members to create a space where we can connect, heal, and learn. Join us! A panel of social media influencers of color ready to talk about their strategy to showing the full depth of life as a person of the global majority beyond stereotypes. Agnes Vianzon hails from the San Fernando and Simi Valleys, however, the mountains of CA have been her favorite home. She spends her winters in Mammoth Lakes, CA and summers have been spent mostly in remote wilderness locations. She has hiked thousands of miles as a National Park Service trail worker and former program manager for an immersive backcountry trails program. 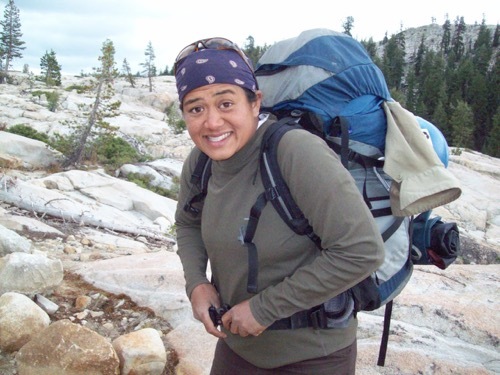 Combining her educational background in environmental studies with her passion for the wilderness, she is the founder and executive director of Eastern Sierra Conservation Corps, a youth and young adult leadership and development program, and believes in the power of the outdoors to provide a transformational experience. Andrea is a passionate educator whose focus rooted in providing access to people of color into STEM fields and re-imagining science teaching and learning. She received her B.S. in Molecular Cellular and Developmental Biology at University of Oregon and has since then spent her time in education in Tacoma, Portland, Detroit, and now San Francisco. She currently Teaches outdoor science for K-5 at G.W Carver Elementary in SF's Bayview District. Andrea Luna was raised in Bell, Los Angeles. She is a first-generation undergraduate student who transferred from East Los Angeles Community College to the University of California, Berkeley majoring in Society and the Environment. She began organizing with East Yard Communities in her first year of college, and was a researcher in the Marina Pando Social Justice Research Collaborative. She now serves as the Advocacy and Action associate at the Student Environment Resource Center, and the Student Representative for Student Affairs on the Chancellor’s Committee on Sustainability. Andrea is committed to continue working with nonprofit organizations that are dedicated to environmental justice. 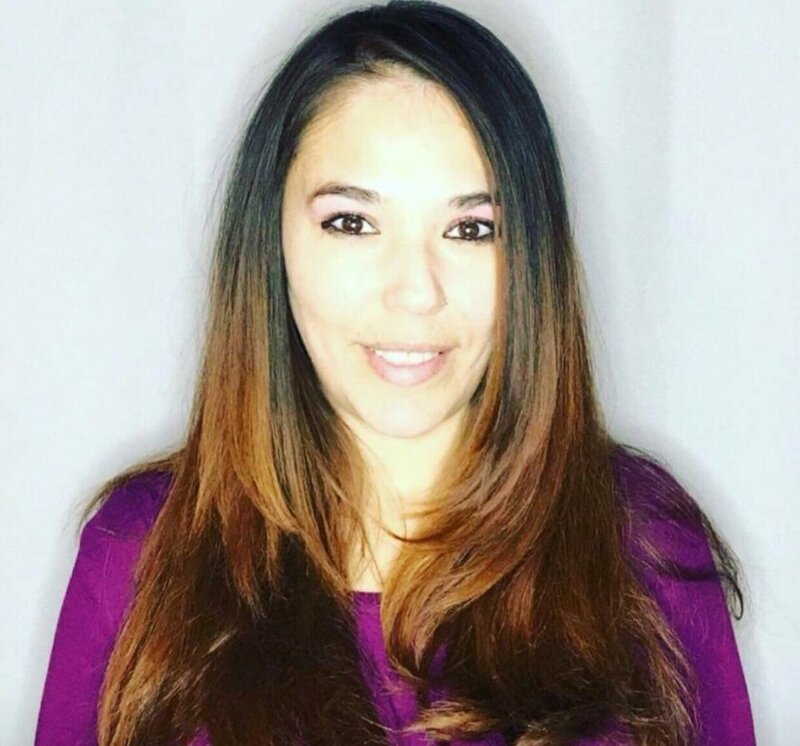 Angela Noah originates from the White Mountain Apache Tribe from Cibecue, Arizona located on the Fort Apache Indian Reservation. Aside from Apache, she is also Oklahoma Choctaw and Navajo. Starting off at Northwest Youth Corps as a youth participant in 2015 and then a Crewleader in 2017, Angela co-founded the One Chemawa Program in collaboration with NYC to bring natural resource management experience to students. In addition, Angela received the highly respected 2016 Corps Networks’ Corpsmember of the Year Award. Angela is passionate about bringing Native youth outdoors and is thrilled to be the Ancestral Lands VISTA intern. Her role will be to build tribal partnerships with the Federally Recognized tribes in the Northwest and to support tribal programs NYC has to offer to become change makers, and she strives to continue advocating for women and girls. Angela Park is a consultant, researcher, and writer dedicated to helping mission-driven organizations embed social justice and equity throughout their work. She has consulted for nonprofits, foundations, B-corporations, and government agencies—including Ben & Jerry’s, Sierra Club, Surdna Foundation, and U.S. Fish & Wildlife Service. 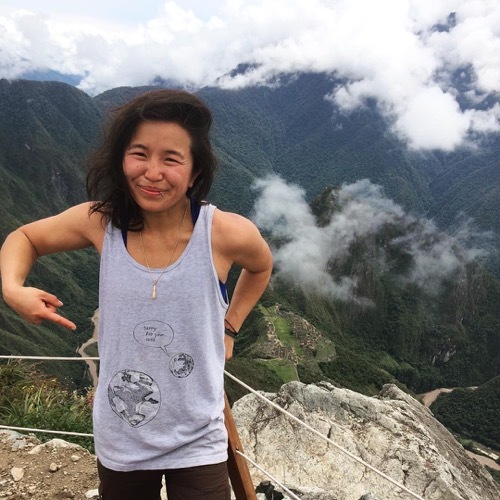 Angela wrote Equity in Sustainability and Everybody’s Movement: Environmental Justice and Climate Change, was published by The Diversity Factor, Grist, and Yale, and featured in Audubon. Previously, Angela worked at the Clinton-Gore White House, coordinated sustainable development initiatives at the Center for Policy Alternatives, and co-founded the Environmental Leadership Program. Ariel grew up in a Taiwanese American home in San Jose, CA. She cares about connecting her multicultural community with tools to practice environmentalism. Today she produces environmental media and manages partnerships at Nature in the City (NTC), San Francisco’s first nonprofit dedicated to restoration and conservation. This year in collaboration with NTC and local partners, she published a physical nature map of San Francisco showing how in a dense urban setting, you can still find rich biodiversity. After earning degrees in political science and media studies at UC Berkeley, Ariel organized ecological restoration and community-building projects at the Presidio Trust. Recently, Ariel designed and taught multicultural environmental science programs at NatureBridge in Olympic and Yosemite National Park. Ariel is a storytelling scientist who loves highlighting interconnections between our natural environment and immigrant identities. Bea is a black and native water quality researcher, focusing on the intersection of race, environment, and health. The 2016 Student of the Year Award recipient for the Maine Environmental Education Association and selected as a 2017 Emerging Leader for the SHIFT Center for Jackson Hole, Bea is an adamant advocate for disadvantaged communities finding and repairing relationships with nature, particularly communities that have been disenfranchized from their environmental cultural beliefs and practices. Bea runs a free water assessment program to educate and empower people around water through one shared resource most homes have: a tap! Coming from a rural area with little to no access, Bea quickly learned how to utilize social media to connect with similar people and projects throughout the world, and takes up space on the runway as a plus size model. Be on the lookout for an upcoming project centering folks with mixed identities in the outdoors! Brian is a queer Hapa ambivert, born and raised in the Bay. He discovered theater as a child, and that led him to joining an Asian American theater and improv group in college. As an instructor for Untold Improv, Brian draws on his experience as an improv coach, camp counselor, theater director, and DEI (diversity, equity, and inclusion) member at his day job. In addition to performing and teaching long-form improv, Brian enjoys eating, sleeping, watching Oprah videos, and making sure his crayons are in rainbow order. Bernadette Demientieff is Alaska Native Gwich’in from Fort Yukon, Alaska. She is the executive director of the Gwich’in Steering Committee and serves on the advisory board of the Native Movement Alaska. Bernadette stands firm in her commitment to protecting Mother Earth and protecting the sacred place where life begins known as the Arctic National Wildlife Refuge. Her grandmother Marsis Moses is from Old Crow Yukon Territory of Canada and her grandfather Daniel Horace is from Fort Yukon, Alaska. Bernadette is married to Jason Demientieff of Holy Cross Alaska and has 5 beautiful children and 5 grandchildren children that has her more involved with this work because it will deeply impact their future. Bernadette is involved with many groups including Defend the Sacred Alaska, an Indigenous-led coalition that stands up for our sacred lands and waters. The Ohlone Sisters are Cultural Barriers for the Costanoan Rumsen Carmel Tribe of Mission indians. Facilitators of past and present Ohlone knowledge. Offering prayers and opening up spaces through songs. Christopher is the founder of Outdoor Asian, a national organization seeking to build a diverse and inclusive community of Asian & Pacific Islander Americans in the outdoors. He holds a B.A. in Environmental Studies and Biology from Swarthmore College. He has researched the impact of climate change in Mongolia and attended the Peoples’ Summit at the UN Framework on Climate Change, and he has worked with many environmental justice organizations including Serenity Soular, Dine Relief Initiative and Got Green. Christopher is based in Everett, WA, where you might find him scrambling peaks, foraging mushrooms or making gloomy art inspired by the North Cascades. Dallas Goldtooth is an Isanti Dakota and Dine man from the village of Cansayapi within the territory of the Oceti Sakowin. He is the national Keep It In The Ground campaigner for the Indigenous Environmental Network, focusing his work on uplifting and supporting frontline Indigenous communities fighting fossil fuel extraction on Indigenous lands. He has traveled extensively across North America as a public speaker and organizer, addressing the needs and issues that affect Indigenous peoples today. He is a film producer, actor, and a comedian. He co-founded The 1491s, an all-indigenous social media group that uses comedy and satire as means of critical social dialogue. He is also a Dakota language activist, cultural teacher and dedicated father. Dan joined the Sierra Club Foundation as the new Executive Director in November 2016. Previously, he was the Senior Director of the Sierra Club’s Our Wild America campaign. Dan also worked at the National Wildlife Federation and is a returned Peace Corps volunteer, where he lived with Panamanian farmers practicing sustainable agriculture. Dan is a naturalized citizen. He was born in Taiwan and emigrated to Canada and then the United States when he was 5 years old. Dan and his wife Lisa have a daughter, son and a labrador border collie dog and are relocating to Oakland, California. David Pon was born and raised in San Francisco, CA. As a teenager, David found peace, healing, and identity in the outdoors. He received his B.S. in Environmental Science from UC Berkeley in 2012. He spent his early professional career leading youth in the outdoors at the East Bay Regional Park District and Golden Gate National Parks Conservancy. He has led trainings for Bay Area Wilderness Training and Youth Outside, and organized the first PGM ONE Summit. He is currently learning Cantonese. As High School Program Manager at the Crissy Field Center, Elyse strives to create a space where national parks feel relevant to young people of color. That work begins with making sure the staff serving the youth feel welcome in these spaces. She is passionate about being a part of constructing, maintaining and sharing those spaces in the outdoor/environmental field through education, discussions, and activities that promote healing and empowerment. Erik Zepeda-Flores comes to the field of outdoor education with a background in Geography/Environmental Studies from UCLA. Through this lens, Erik developed a desire to address the social and environmental injustices that primarily affect communities of color in accessing outdoor spaces. 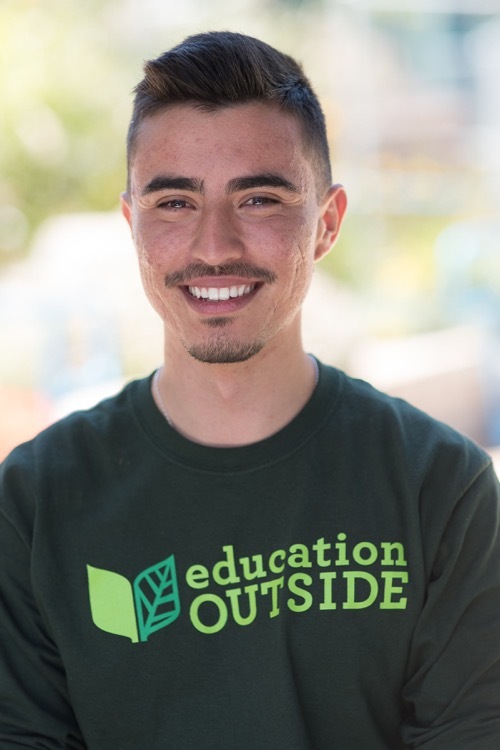 He is currently in his second year of AmeriCorps service through Education Outside where he teaches outdoor science in an elementary school garden to connect his students to the natural world. As an alumni to Youth Outside’s Outdoor Educator Institute, he has also developed the framework to understand and address the complexities in creating inclusive programming for youth from all backgrounds. An Oakland native, Fadwa served as a Natural Resource and Community Ambassador for the National Park Service and has worked with the Pacific West Region as a park liaison to ensure parks around the country are expanding in service and implementing conservation practices. As a first generation, Muslim-American, Fadwa takes pride in the service she commits to the Park Service along with the privilege to connect people to parks. She is fascinated by all things water and coastal conservation, freshwater resource usage, and how climatic variation will affect water quality in the near future. She is currently tackling her master's thesis research, which will focus on the coastal vulnerability of estuaries due to water quality issues in the Bay Area. Francis Taroc is the Senior Specialist at the Crissy Field Center, where his work lies at the intersection of the environment, education, and equity. Francis has worked with organizations such as Conservation Corps North Bay, NatureBridge, Point Blue Conservation Science, and the Golden Gate National Parks Conservancy. Most recently, Francis has been focusing on developing programs that blend hands-on science, outdoor leadership, and environmental justice. Francis also spends time providing training and support to park staff and environmental educators in areas such as inquiry-based education, cultural relevancy, and diversity, equity and inclusion. Garrett Dempsey is the Sierra Club Campaign Representative for Detroit Outdoors, a collaboration with Detroit Parks and Recreation Department and YMCA of Metropolitan Detroit that is reactivating Detroit’s only campground to connect young people with overnight camping experiences. Genomé Rodriguez [they/them or he/him] is an intersectional thinker and biologist striving to be a change agent towards social and environmental justice. Genomé seeks to increase the visibility of Queer and Transgender People of Color in science, promote Latinx engagement with the outdoors, and create spaces for community learning and healing. Genomé is a former National Park Service intern for AmeriCorps VISTA, American Conservation Experience and Latino Heritage Internship Program. Apart from being a QTPoC advocate, they enjoy making art, keeping the body active, intellectually stimulating conversations and healing in nature. Jael Berger grew up in the Mission District in San Francisco, CA. Jael graduated from Pitzer College with a BA in English: Creative Writing and Art in May 2016. She is currently working for Patagonia and Stanford's Outdoor Center and Adventure Programs. She is one of the leaders for Brown Girls Climb, a community and movement of climbers of color aiming to promote and increase visibility and diversity in climbing. She has worked with GirlVentures for almost two years as a field instructor, logistics staff, mentor and coordinator for the Girls Climb On after-school program. She finds that these courses provide a space for healing, growth, exploration of self and confidence-building, which are essential for youth development, especially female-identifying youth. Jael plans on returning this summer for a third season in the mountains with GirlVentures. I am a 3rd year PhD student in UC Berkeley's Anthropology department. My dissertation focus is on the archaeological presence of the Buffalo Soldiers at Yosemite National Park. My current research looks at the formation of the African American and masculine male identity in relation to ideas of racialization and what it means (historically and contemporarily) to be “Black in Nature and the Wilderness.” In doing this, I am also working in engaging local East Bay/Oakland students in getting out into our local parks to be able to reconnect and learn about their culture historical connections to their landscapes through an anthropological archaeological perspective. Jenny Park is a communications strategist with a deep passion for using storytelling to inspire activism and create change that serves the greater good. She has more than 15 years’ experience in story development, messaging, spokesperson training, and media relations. She is adept at sifting disparate ideas into a cohesive strategy and ensuring the narrative comes through consistently across all platforms, whether it’s a press release, a micro-documentary, a speech, or a Tweet. Before joining Resource Media, Jenny led communications at the Goldman Environmental Foundation, where she helped amplify the voices of grassroots environmental activists around the world. The visibility raised around the grantees’ campaigns helped push through numerous victories, including Iraq’s first national park and a fracking ban in New York state. Jenny was previously at Fenton, where she worked on social change campaigns on public health, education, environment, and human rights. She also serves as advisory board chair for Urban Sprouts, a San Francisco-based nonprofit that builds just and equitable communities through food and garden-based programs. Jerrold Acdan was born in Daly City, CA, but moved to Southern California when he was in elementary school. He returned to the Bay Area to attend college at UC Berkeley where he recently graduated with a degree in Chemistry and Earth System Science Geography. During his college years he began to learn more about his Filipino-American identity and how the struggles of people of color around the globe are all connected. He desires to one day help transform academia (particularly STEM fields) into a safe space that is more accessible to POC and other minorities. Jessica Lie is a Taiwanese-Okie turned SF resident as the Education Program Coordinator for the Golden Gate National Parks Conservancy. Having had limited exposure to the outdoors and environmental education growing up, she is especially grateful to be in a position to spread the nature love to youth who have not always felt welcome to such spaces. She is an avid OKC Thunder fan who is still recovering from Durant's move to the Warriors. Jessica Prieto was born and raised in East Los Angeles. She graduated from San Francisco State University with a B.A. in Urban Studies and Planning with a minor in Race and Resistance Studies. She was a researcher in the Marina Pando Social Justice Research Collaborative’s first cohort, focusing on brownfield truthing and remediation processes. Soon after she worked as a Research & Policy analyst at EYCEJ, working on building resident retention in Southeast LA. She is currently a Masters of Urban and Regional Planning candidate at UCLA and is focusing on community-driven planning and policy development in communities of color. Jocelyn was raised in Bell Gardens (Southeast Los Angeles), where much of her interest for environmental justice began. She is a first generation undergraduate at UCLA, studying Geography/Environmental Studies and Urban Planning and will be graduating this Spring. She has been a member at East Yard Communities for Environmental Justice since high school and has served as a researcher for the Marina Pando Social Justice Research collaborative. She assisted research in brownfield truthing and researched industrial runoff pollution in the communities of Southeast and East LA. Justin Yee strives for a diverse and representative environmental workforce that can, in turn, connect communities to public lands, fostering natural resource stewardship. In the National Park Service, Yee coordinates youth job training in Los Angeles, providing experiences in field data collection, leadership and project planning. As Urban Waters Ambassador for the Los Angeles River Watershed, Yee coordinates with partners that engage the river's diverse communities with wide-ranging programs including habitat restoration, environmental education, water quality monitoring, and affordable housing. Recently, the National Parks Conservation Association recognized Yee in their 'Top 10 Under 40' list for leadership in protecting public lands. Kaiwen Lee 李愷文 (they, them, theirs) grew up in New York to ethnically Chinese immigrants. Disenchanted as a youth with the lack of positive representation of people of color in public school curriculum, Lee naturally chose to become an educator. Lee first started working in outdoor and environmental education in 2006 and has since expanded their repertoire to include field ecology, urban agriculture, habitat restoration, environmental justice, and youth work. Lee identifies as queer and non-binary and is committed to advancing equity and building power in communities of color through institutional and systemic change. Lee currently serves on the City of Seattle's Environmental Justice Committee, organizes for Outdoor Asian, and was recognized as one of the National Park Conservation Association's "Top 10 Under 40." Katty Regalado is the Sierra Club's Inspiring Connections Outdoors Chicago Coordinator, connecting youth with limited access to the outdoors for the benefit of both. She values lifting youth to explore their own story/relationship to the outdoors in meaningful ways. An environmental educator, she is also a member of a local network, Environmentalists of Color (EOC). 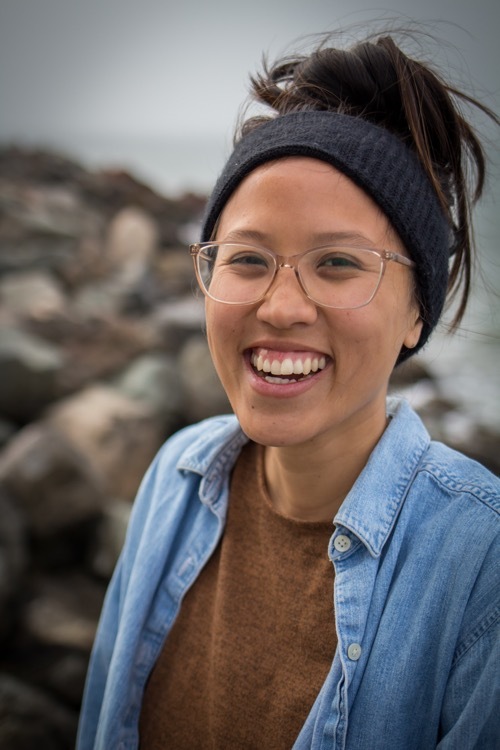 Kaylé is a Bay Area nonprofit professional interested in fostering connections to and in nature for people of color. Kelsi Ju grew up in Honolulu and San Francisco. Kelsi served two years of service with the Peace Corps in Panama. She lived and worked with the indigenous people (Ngäbe) on environmental education and sustainable agriculture. When she returned to the U.S.A., Kelsi became a park ranger with the National Park Service in an effort to fill what she perceived as a void in the National Park Service. She had never seen a park ranger who reflected her identities, an Asian American queer cis female. Kelsi is determined to continue working as a change agent with those around her. 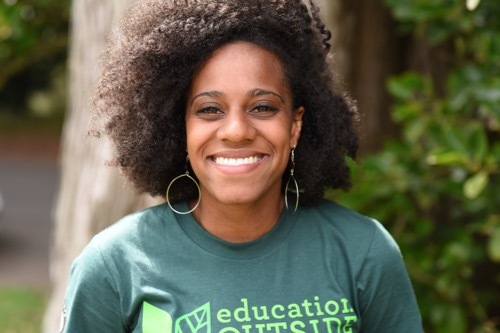 Youth Outside’s Executive Director Kim Moore Bailey provides the leadership and vision that drives its mission to connect youth to nature by eliminating barriers, providing resources, and promoting outdoor programming. Inspired by her own passion for the outdoors and years of both personal and professional experiences, she is committed to ensuring that underrepresented youth in particular have access and opportunities to thrive in the outdoors. Krystle Ramos is the Program Director for Community Nature Connection, a Los Angeles based organization whose focus is on empowering underrepresented communities in the outdoors through professional development, outdoor education, and advocacy. Attributable to her fascination by language and its role in everyday situations, Krystle studied Linguistics and French at California State University of Northridge. She has led experiential based programs domestically in California and abroad in Costa Rica and Southeast Asia for various global audiences. Krystle is an ambassador for Latino Outdoors, a cohort member of the 2017 SHIFTJH Emerging Leader Program, and of Nature For All. Lan Ngô is the Crissy Field Center’s Environmental Education Specialist. Born and raised in the SF Bay Area, Lan loves the diverse people and natural communities of this area! As one of the founders of the Environmental Educators of Color group, Lan is excited to leverage the strengths of our POC communities for positive change. Lornett Vestal currently works as the Sierra Club's Southeastern Military and Veterans Coordinator for the Military Outdoors program. A healing through nature and leadership program for military, veterans, and community members. Len Necefer is a member of the Navajo Nation and is from the Tachii’nii and Naakai Dine’e clans. He is a graduate of the United World College of the American West & recently completed his doctorate at Carnegie Mellon University’s Department of Engineering and Public Policy. Most recently he is the founder and CEO of the Denver-based gear company, NativesOutdoors. His work focus in the intersection of indigenous people, land management, energy, and outdoor recreation. As part of this job he is an avid mountaineer, skier, and climber. Mabari Byrd was born and raised in Philadelphia, Pennsylvania. He is a city kid at the core, and his journey toward finding solace through connecting with nature is unconventional at best. He grew up in a tough inner-city environment, which at one point steered him and some of his siblings down a troubling path. However, he persevered, determined to be a positive role model for his young daughter Aniyah, his family, and the youth that he mentors. Mabari's has a diverse background in the fields of behavioral health, education, youth development, and environmental sustainability. He's spent time in the classroom educating youth, leading AmeriCorps teams outdoors completing storm water management projects, coaching sports, and as of recently starting his own (consulting) LLC. Mabari is presently Sierra Club's Inspiring Connections Philadelphia National Coordinator, facilitating activities that connect Philly youth and their families to the Delaware River watershed through outdoor activities, experiential education and advocacy. Marissa Llanes’ professional work focuses on addressing issues of access, representation, and inclusion. In the past, she has worked on programs for the Mountains Recreation and Conservation Authority, Outward Bound Adventures, and the California Science Center Foundation. She received a Master of Arts in Socio-Cultural Anthropology with an emphasis on representational practices. Her past experiences and academic background informs her work in community outreach, equity initiatives, and program development. In her spare time, Marissa enjoys visiting museums and parks, playing non-competitive soccer with Futbolistas L.A., and spending time with her family. Maya is a native San Franciscan currently teaching outdoor science in an elementary school garden through Education Outside. As a person of color who grew up in an urban area, her exposure to the natural world was very slim. After studying abroad in Chile, she developed her own connection to nature and became passionate about making sure nature is accessible to everyone. Maya has worked as an outdoor educator for two and a half years and continues to work as a camp counselor during the summers connecting the urban youth of San Francisco to green spaces in their own city. Mercedes Falber started her activism young, volunteering with her immigrant mother at a local Hispanic campaign office to place the village's first Latino politician. The seed was planted and after college, she petitioned to rename a street after Malcolm X and created a prisoner visitation program to support incarcerated Black Panthers and BLA members to ensure they were not forgotten. For the last twenty years, Mercedes pursued HR, diversity and organizational structure with NRDC, one of the most effective environmental organizations, first as the Assistant supporting the HR team and now leading a team of 22 as the CHRO. With a BS in Early Childhood Development with emphasis on Outdoor Adventure Leadership and Native American Studies, this small town mother of two girls has spent the majority of life in the woods and in nature. Former lead instructor for an outdoor wilderness survival program for preschoolers, experience also includes training as circle facilitator for female youth circles, level one challenge course facilitation, basic archery and Qigong instructor for multiage groups, as well as mindfulness based, non-violent communication and mediation training. Miho Aida, originally from Tokyo, is an educator, award-winning filmmaker, and author dedicated to creating a culture that gives a voice to marginalized communities. She currently works as the Equity and Inclusion Coordinator at NatureBridge, the nation’s largest non-profit environmental science education partner of the National Park Service. Most recently, Miho received the 2017 SHIFT Adventure Athlete Award, which recognizes an outdoor athlete who best promotes conservation leadership in the US, for her over 2,500-mile bicycle film tour to protect the Gwich’in people’s sacred land in the Arctic National Wildlife Refuge from oil development in Alaska. Monica Vega Latona is a queer, Xicana artist-activist living and working in Sacramento. Monica creates art about social justice because they believe in the healing power of visual art. They also believe that art should intersect with social justice and representation. Monica believes in empowering people of Color through art, the outdoors, and storytelling. She currently volunteers for Latino Outdoors in the California Central Valley. Their favorite outdoor activities are hiking, backpacking, plant identification, and cycling. She would really like to learn how to skateboard. Monica also loves social justice, punk rock, vegan ice cream and her partner, Jaron. Solis Coronel has held multiple positions at REI since 2008. Currently, she leads the Co-op’s Next Gen Marketing program, an effort whose objective is to inspire, attract and engage multicultural millennials in their outdoor journey. Prior to joining REI, she worked at KPBS, the local PBS and NPR affiliate, where she managed special events and developed and implemented media and outreach campaigns. Solis Coronel is also committed to the community where she works and plays. She was a board member for I Love a Clean San Diego and MANA de San Diego and, co-creator of the Latina Giving Circle. She currently serves as Vice Chair for the CA Park and Recreation Commission. In 2019, Solis Coronel will assume the Chair position for the Commission, serving as the Commission’s first Latina Chair. Solis Coronel holds a BA in Communications from San Diego State University. In her down time, she dreams and schemes of her next family vacation. Narinda Heng is a Bay Area-based writer, potter, and outdoor educator. She is an instructor for GirlVentures and recently joined Stanford's Adventure Program, where she works at the Outdoor Center and in the field. From 2009 to 2012, she was a stage manager and co-producer for the Downtown Los Angeles-based free public art space, Tuesday Night Cafe. Her career in outdoor education began in 2013 when she became a volunteer mentor with GirlVentures. Since leading her first backpacking trip with GirlVentures in 2014, she has been on wilderness trips with young people in Alaska, California, Colorado, and New Mexico. A trip she co-instructed for Eagle Rock School in 2016 is captured in the documentary, All Who Dare. Narinda's work revolves around community, queer Khmer American identity, family, solidarity, and reclaiming/redefining our connection with the outdoors and with one another. Olivia VanDamme is a Latina, mixed race woman who is passionate about connecting people to the outdoors especially in the ocean. She loves rock climbing, and surfing along the California coast. She graduated from CSU Chico with a BA in Geography and Latin American Studies, was an NHRE intern at the Smithsonian Museum of Natural History, has volunteered or worked for over 8 non-profits in the Bay Area, and currently is the Operations Manager for City Surf Project in San Francisco. She is an alumni of the Youth Outside Rising Leaders Fellowship, member of Environmental Educators of Color group, and has spoken at the This Way to Sustainability and Institute for Women Surfers conferences in 2017. Paola grew up in the San Fernando Valley in Los Angeles, surrounded by little brown babies and concrete sidewalks with cracks full of life. Being a low-income first generation person of color in the United States along with her educational background in Society and Environment and Ethnic Studies provides her with a deeper understanding of institutional barriers that prevent communities of color from being able to engage in and reestablish ties with La Madre Tierra. Her background as a campus organizer along with her work in outdoor education and engagement has focused on captivating and creating lasting relationships with communities. She hopes to continue her part in the movement towards self determination and a more sustainable Tierra for all in her current position as the Community Empowerment Specialist within Mujeres de la Tierra. Pınar Ateş Sinopoulos-Lloyd (they/them/theirs) is the co-founder of Queer Nature, a project bringing earth-based queer community through ancestral skills, nature connection, and vision fast guiding. Pınar is a nonbinary QTPOC (Queer & Trans Person of Color) with Huanca, Turkish, and Chinese lineages. In addition to offering LGBTQ2+ specific programming, Pınar is a consultant, presenter, and speaker at universities and conferences, program designer and facilitator in collaboration with nonprofits, and a canoe guide. They are a member of the Diversity Outdoors coalition. As an indigenous queer outdoor leader, their inspiration is envisioning decolonially informed queer futurism through interspecies accountability and remediating the myth of human exceptionalism. As a survival skills instructor, one of their core missions is to uplift and amplify the brilliant “survival skills” that BIPOC, LGBTQ2+, and other intersectional oppressed populations already have in their resilient bodies and stories of survivance. Their relationship with queerness, neurodivergence, indigeneity, and belonging guided their work in developing Queer Ecopsychology through studies at Prescott College, Wilderness Awareness School, School of Lost Borders, Animas Valley Institute, and Naropa University. Currently enrolled at the University of Vermont, they are working on their degree in Master of Science in Natural Resources with a Concentration in Leadership for Sustainability. The notion “Life Is An Opportunity To Learn” is what has guided Robin Dingle Binaoro throughout his adult life. Inquiry and curiosity is what attracts him to the natural world and has subsequently guided him to work in the outdoors and afford him the opportunity to learn about California’s ecology, despite the lack of exposure growing up. Professionally, he indulges his curiosity through his work as a Seed Ecologist for the Golden Gate National Parks Conservancy (GGNPC) in Marin County. Most recently, he has been exploring his identity as a person of color by participating on the GGNPC DEI committee, by reexamining his experiences past and present, and by championing that identity professionally and personally. Robin’s day dreams include thinking up photography ideas, wondering where his next night hike will be, pondering about lichens, trying to understand time and space, and pining over potato wedges. Sarah is a multimedia strategist and artist with a deep commitment to equity and inclusion efforts in outdoor spaces, environmental movements and yoga communities. As program coordinator at Resource Media, she is dedicated to tapping into the power of storytelling to amplify marginalized voices, inspire change and cultivate connection in our increasingly divisive world. Sarah is also a yoga teacher (RYT 500) grounded in the philosophy that yoga is a tool for life for every body. She co-facilitates trainings and workshops with a trauma-informed, social justice lens that holistically promotes self-care and community resilience. She carries these same values to her love for and work in the outdoors, where she mentors youth on outdoor programs. Sergio Avila is Sierra Club Local Outdoors Coordinator in the US Southwest. A wildlife biologist by training, he seeks to engage and increase the number and diversity of people connected to nature, helping develop strategies to seek new partners and engage in ongoing conservation campaigns. Simonne Moreno is an American History Major at San Francisco State University with a concentration in California Studies. He immigrated to the United States from the Philippines at nine years old. Opportunities from high school programs begat his journey as an Environmental Educator. He started working in the Golden Gate National Recreational Area in 2015 for their outdoor middle school program and continues to work with the Park Conservancy. Simonne believes that the state of inclusion in outdoor education is greatly diversified when students of color understand the benefits of natural space. It is important for youth to understand their voices and experiences are a part of a greater history that will be incorporated into the larger story of the National Parks. His goal is bring urban students to natural spaces to learn and understand the world through a different perspective. We are students and teachers, listeners and communicators, consumers and creators, protectors and nurturers, friends and lovers. We drum from the heart, for the heart, to the heart and with our heart. Absorbing the teachings of West African rhythms, songs and dances, Sistahs of the Drum respectfully represent the essence of our traditional African roots in harmony with our African-American cultural rearing. The resulting sound is from somewhere deep within; playing through us and resonating with you. Current members: Mar Stevens, Sandy Mills, Charlene Gumbs, Shawn Nealy-Oparah, La Tanya Carmical, Mya Jonisha Cross, Jillian Lyles & Nina Roberts. Surabhi Shah is a change leader working at the intersection of environmental protection, diversity, equity and inclusion, for thirty years, in public and community organizations. At the U.S. Environmental Protection Agency, Shah co-founded the Urban Waters Federal Partnership, fostering inclusiveness in restoring local waters and revitalizing communities. Recently, the Partnership for Public Service recognized Shah and her coalition with the Service to America Medal for their breakthrough work. Shah was awarded the Canadian International Development Agency (CIDA) Award for Canadians to promote community water stewardship and gender equity in India. Shah shares her South Asian heritage through music and storytelling. Suzette was raised in Huntington Park. Growing up with asthma next to the industrious city of Vernon, Suzette became involved with Communities for a Better Environment in high school and has since been involved with environmental justice work. She recently became a member of East Yard Communities for Environmental Justice's Board of Directors and has worked alongside community members in EYCEJ's La Cosecha Colectiva program. She graduated from CSU Long Beach with a B.S. in Dietetics and Food Administration and is currently a Master of Public Health student at UCLA in the Community Health Sciences department. Suzette is dedicated to tackling health inequities by building up low income communities of color. Tamara Toles O’Laughlin is an environmental advocate focused on equity, access, and justice. Her niche is development of capacity building programs and the creation of multimedia campaigns to dismantle privilege and increase opportunities for vulnerable populations to access health air, clean energy, and a toxic free economy at the local, regional, and national level. Tamara casts a wide net in service to community. Among her activities, she is executive director of the Maryland Environmental Health Network, co-chair of DC EcoWomen, serving 6000 women, and the vice chair of the Metropolitan Washington Council of Governments, Air and Climate Public Advisory Committee. Tamara is the vice chair of the Board of Directors of Women’s Voices for the Earth in Montana. Women’s Voices disrupts industry standards by forcing ingredient disclosure to eliminate toxic chemicals from personal care products. Tamara graduated from the Vermont Law School in 2009, with a Juris Doctor and Masters of Environmental Law and Policy. Tamara has worked for over fifteen years to embed the principles of justice into applied environmental work, with attention to community capacity building, mobilization, equity of enforcement, and environmental health. Retired Director of Diversity and Inclusion from Naropa University - founded by a former Buddhist monk - Tommy Lee Woon is descendant of illegal Chinese immigrants, a first generation college student, and a product of the Asian American Movement. He spent his career in multicultural deans’ positions at several universities. His consulting has touched people of the global majority in the United States, South Africa, Native Alaska, and Asia. He holds certificates as a Somatic Experiencing Practitioner (SEP) from the Somatic Experiencing Trauma Institute and as a Compassion Cultivation Teacher from the Stanford Medical School. Valentin Lopez is the Chairman of the Amah Mutsun Tribal Band, one of three historic tribes that are recognized as Ohlone. The Amah Mutsun are comprised of the indigenous descendants forcibly taken to Missions San Juan Bautista and Santa Cruz. Chairman Lopez is also the President of the Amah Mutsun Land Trust which was established in 2012.. He is a Native American Advisor to the University of California, Office of the President on issues related to repatriation. He is also a Native American Advisor to the National Alliance on Mental Illness (NAMI) and the Phoebe Hearst Museum of Anthropology. The Amah Mutsun are currently working to restore their traditional indigenous knowledge regarding land stewardship so they can return to the path of their ancestors. Consequently, the Amah Mutsun are very active in conservation and protection efforts within their traditional tribal territory. Chairman Lopez is working to restore the Mutsun Language and is a traditional Mutsun singer and dancer. Victoria believes in the endless capabilities of women and girls. Victoria is currently the Outreach and Volunteer Manager at GirlVentures. She spent three years as a middle school teacher in Berkeley. As an educator, Victoria primarily focused on inspiring youth to become change makers, and she strives to continue advocating for women and girls. As a young girl growing up in San Francisco, Victoria was not exposed to the possibilities of the natural world. After traveling in Latin America in her early adulthood, she discovered her passion for spending time disconnecting from her daily routines in the outdoors. Artist from Oakland, CA. Working as the Art Education Specialist at the Crissy Field Center. Crissy Field Center is a dynamic hub of youth engagement for the Golden Gate National Parks and a model program of the National Park Service. Crissy Field Center programs encourage new generations to become bold leaders for thriving parks, healthy communities, and a more environmentally just society.